Have you always wanted to try beauty boxes, but balked at the idea of getting a collection of crap in exchange for your hard earned money? Well now’s your chance. 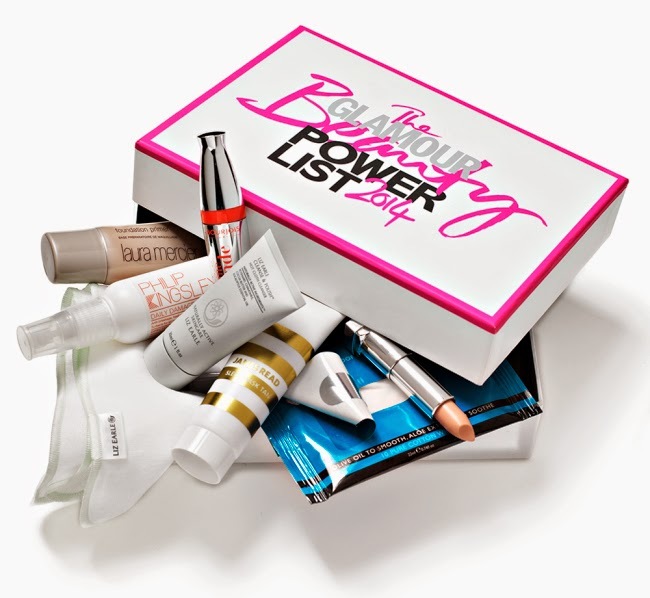 I have one lovely crispy new Beauty Box from Latest In Beauty to giveaway. I was so happy with what I got in mine that I bought one for a giveaway too! Here is what is contains and the combined cost of the products would be £80. It costs just £15.99! For your chance to win this beauty enter using the Rafflecopter thingy-ma-jig below. I have had mine for a couple of weeks now and the best things are the Laura Mercier Foundation Primer, the Bourjois Mascara and the Liz Earle Cleanse and Polish. These alone are worth over £30 plus a whole years iPad subscription to Glamour! Back to the 90’s with Urban Decay Vintage!